SUPERMOON’ LIGHTS UP UK NIGHT SKY IN NEW YEAR. The New Year will be brought in by stunning supermoon, or the rare ‘Wolf Moon’ lighting up the sky on Monday evening. The lunar cycle and calender cycle aligns astronomical treat follows December’s supermoon. So will happen between January 1st and 2nd 2018 at night. It is known by early Native American tribes as “Wolf Moon”, because it was time of the yea hungry wolf packs howled outside their camps. The 2018 Wolf Moon is a “supermoon”, which means it coincides with Moon’s closest approach to Earth – known as the perigee. It will appear up to 7 per cent bigger than an average Full Moon and around 12 per cent to 14 per cent bigger than its counterpart, the Micromoon. Look up between January 1 and 2, 2018 at about 2.24 GMT. There’s a window of opportunity if there are clear skies. The second supermoon will be on January 31 called Blue Moon. What is a supermoon? A runner makes his way along a trail in front of the supermoon in Arizona in image by Reuters. A supermoon takes place every one to two years, when the full moon coincides with its closest point to Earth during its monthly orbit. Because the moon has an elliptical orbit, one side – called the perigee is about 48,280 km (30,000 miles) closer to Earth than the other side (the apogee). When the sun, moon, and Earth line, the moon orbits Earth known as syzygy and definitely something you want to keep in your back pocket for next Scrabble match. When Earth-Moon-Sun system occurs with the perigee side of moon facing earth and moon happens to be on the opposite side of Earth from the sun, we get what’s called a perigee-syzygy. That causes the moon to appear much bigger and brighter in sky than usual, and it’s referred to as a supermoon – or more technically, a perigee moon. Why is it called the Wolf Moon? A wolf howling at the full moon. The January Full Moon is called Wolf Moon. Other names are Old Moon, Ice Moon, and Snow Moon, although this name is usually attributed to the February Full Moon. No scientific evidence shows the Moon phase has any influence on the calls of the wolf, wolves are nocturnal animals, so they are in general more active at night. They are known to howl in the direction of the Moon. They point their faces toward the sky for better acoustics, because projecting their howl upward carries sound farther. Wolves are particularly loud and vocal in first months of the year so people associate month of January with howling wolves. When is the ‘red blue moon? A super blood moon rises in Liverpool in image by Colin Lane/Liverpool Echo. The Wolf Moon is first of two full moons in January. The second will take place on the night of January 31. According to tradition, when two full moons appear in the same calendar month, the second is termed a “Blue Moon.” It is a celestial phenomenon that gives rise to phrase “once in a blue moon.” The Blue Moons occur because lunar month lasts about 29.5 days calendar months last anything between 28 and 31 days. Occasionally, this means that a full moon can be seen twice in one month. And January’s Blue Moon is almost a supermoon, because it will reach the closest point in its orbit on January 30. In some areas, including most of North America, Asia, Australia, there will be a total lunar eclipse on the night in January 31, causing the moon to appear red in the sky. So this may be rare opportunity to see red Blue Moon. How to get the best picture? Tripods, zoom lenses and all the extra bits aren’t really needed but will help keep you steady and get a better close. Blessed Happy Prosperous New Year. NIBIRU? Five shocking ways world could END? Year 2017 ended despite predictions by doom prophets who claim mythical planetary system will finish the year. Earth survived and continues though battered and bruised in some regions as stated in Revelations in Bible. Endtime signs wonders confound people who know the END OF THE WORLD is at hand right at the door. Some think the signs include long overdue super volcanic eruption or the “big one” earthquake pending soon. According to scores of Nibiru, Planet X Wormwood believers and the Christian fundamentalist David Meade, 2017 was the year it will make a close pass of the earth, “wiping it out.” But looks like they were wrong. So Rapture revellers claim happenings in 2018 are part of endtime prophecies linking Christian apocalypse caused by God. This trigger Rapture and Second Coming of Jesus Christ. The five ways predicting endtime world event of millions of people perishing one day is called the Day of the LORD’s WRATH. It means after God tried in vain to help all people to be saved those who reject HIS Son Jesus will perish. Only God knows that day but warns the world through 7 trumpet’s blasting sounds alert people to realise destructions are about to take globally so people must take note. It is extreme measures God is compelled to use because God does not want anyone to perish. God allows freewill choice of people to decide to be in God’s Kingdom. A SUPER volcanic eruption potentially will happen at any time, and according to scientists long overdue. And heavy rainstorms endtime signs result from thick pyroclastic clouds cause tsunamis, high waves and storms at sea. Scientists claims volcanoes are biggest threat to human survival. Predict super eruption of one of the world’s mega volcanoes like Yellowstone in USA potentially creates nuclear winter effect as toxic ash blocks out sun creating a mini ice age. Some scientists fear the major one could kill millions so devastate planet is real. It is expected specifically overdue super eruption at Yellowstone National Park, lava-filled caldera measures 34 by 45 miles (55 by 72 km), meaning it could potentially happen anytime. And, there are few real contingency plans in place to deal with ticking time bomb conclude likely to go off within next 80 years. The world’s dangerous active volcanoes include Yellowstone, Mount Vesuvius in Campagnia, Italy, and Popocatépeti near Mexico City. In 2015 a team of scientists said these massive volcanic peaks suffer a major eruption, millions of people will die. Earth’s atmosphere poisoned with ash or toxins “beyond imagination of man’s activity and global warming in over 1,000 years. Chance of eruption happening of a major volcano within 80 years at five to ten per cent by experts. Mount Agung eruption is one of them. 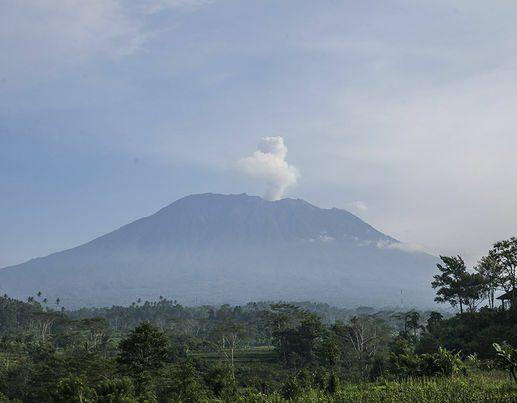 Indonesian authorities raised the state of alert to highest level for the volcano, Mount Agung, after the thick ash started shooting thousands of meters in the air with increasing intensity. Mount Agung volcano spews smoke, as seen from Karangasem, Bali, Indonesia. Nibiru is coming up from below at a 32-degree angle. And now the Earth is far away at the other side of the sun. The Earth will come back at the same side that Nibiru does in May 2018. “Big One”Earthquake/ tsunami: Another threat most scientists agree is long overdue is a major earthquake, known as a “Big One.” It is feared that devastating earthquake of magnitude eight or more and powerful enough to unleash a tsunami could strike the west coast of America if a major fault line is triggered. US Geological Survey (USGS) carefully monitors seismic activity in the Cascadia Subduction Zone, where ta series of medium tremors in 2016, and two fault lines in California, including San Andreas. Scientists say California fault lines and the Cascadia Subduction Zone are among the long overdue major earthquake of magnitude above eight. After the Cascadia Rising emergency tests carried out in 2016, a spokesman for operation said: “Subduction zone earthquakes are said to be among the most powerful, and can exceed a nine magnitude.”Scientists at the USGS have revealed their computer modelling tests indicate San Andreas Fault in California is capable of producing earthquakes of a maximum magnitude of 8.3. This still of concern as the 1906 earthquake that devastated San Francisco had a lower magnitude of 7.9. But they revealed the Cascadia Subduction Zone is of the most concern. It runs about 60 miles offshore along the Pacific coast from northern California to Vancouver Island, so major cities including Portland, Seattle and Vancouver are within its tsunami range, threatening millions of people and the major infrastructure. USGS worryingly confirmed same computer models show it is capable of producing an earthquake with magnitude up to 9.3, which would likely trigger huge tsunami waves. This will be more powerful than magnitude 9 tsunami-causing quake that hit Japan in 2011, claiming thousands of lives and taking out nuclear reactors. Worse still, many scientists say US is not prepared to deal with such natural disaster that could strike at any time. 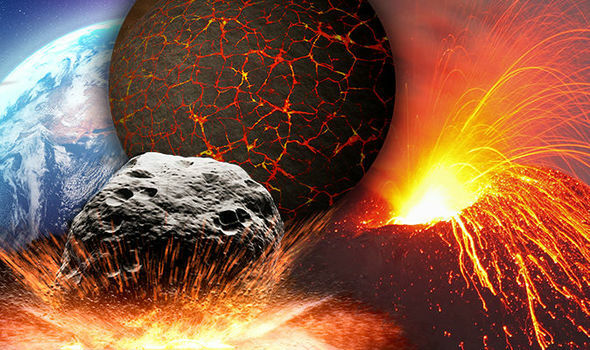 Asteroid or comet strikeThere is general scientific consensus case of when, not if, a huge asteroid or comet capable of wiping out life on earth will one day strike the planet. 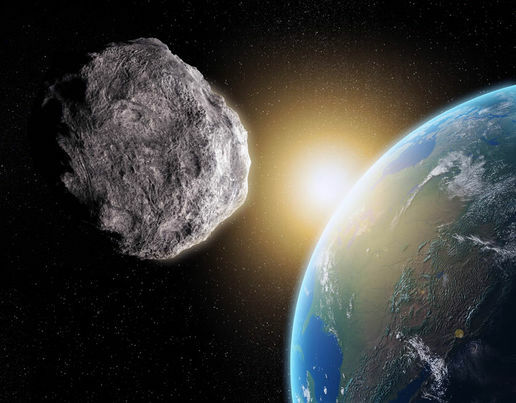 NASA and other space agencies have detected around 1,500 of the so-called “near earth asteroids” that could potentially threaten us, back that is only over one per cent of amount said to be out there. NASA says it knows of no significant space rock that potentially will collide with earth for 100 years. But professor Stephen Hawking warns we have about 200 years to occupy another planet or face being wiped out. NASA is looking at ways of deflecting an asteroid using the gravitational pull of a spacecraft, but we would need significant warning time to achieve and theoretical emergency plan has yet to be tested. The World Asteroid Day campaign calls for more priority on developing effective system. Scientists believe huge asteroid comet responsible for wiping out the dinosaurs, but space rock of just 50 metres in length would be enough to destroy a city the size of London should it strike. The threat of a rogue, undetected, asteroid was made clear in February 2013, unseen asteroid of 20 metres in length exploded out of blue in atmosphere above Chelyabinsk in Russia. 1,500 people were injured, mainly from glass flying out of around 7,000 buildings, damaged by the force of blast. Amazing facts of Asteroids First asteroid Ceres, discovered by Giuseppe Piazzi in 1801. Over 600,000 asteroids in solar system. Asteroids orbit Asteroid Belt series of rings located inbetween orbits of Mars and Jupiter. There are Millions of Asteroids in solar system, found in Asteroid belt between Mars and Jupiter. Those in that pass the Earth are called Near-Earth objects. Nibiru, Planet X, WormwoodNibiru or Planet X theory of planetary system from beyond the fringes of the solar system believed by doom mongers to be heading towards Earth on its 3,600 year orbit of our sun. This system will herald the end time days by wreaking havoc on Earth gravitational waves, cause poles to switch triggering mass earthquakes and volcanic eruptions. So for much of the year doom prophets as David Meade warned 2017 would be the year Nibiru passes triggering apocalypse. Seem they were wrong. Some claim it is written in Sumerian tablets Nibiru will pass 2060. There are others who claim the system is due to come in May 2018. Conspiracy theorist Daniel Manson claims Nibiru is in Venus orbit and will be here before the summer. He said: “Nibiru is coming from below at a 32-degree angle. And now the Earth is far away at the other side of sun. The Earth comes back at same side Nibiru does in May 2018. But fortunately for us a series of earlier predicted dates have come and gone, and NASA says Nibiru is an internet hoax. Cynics claim doom prophets make predictions in YouTube videos to cash in advertising revenue and conspiracy theorist on nibiru. Alien invasion: Although there is still no evidence that intelligent aliens have ever come anywhere near the earth, more and more people are convinced they are out there and could pose threat to planet. Some boosted last weekend after it emerged US Department of Defense was secretly investigating potential threat to earth from UFOs as recently as 2012. A religious leader, convinced aliens will take over earth Marshall Vian Summers head New Message from God Movement in Boulder, Colorado. He claims to have been receiving a message from God about future contact with aliens over the last 35 years. However, he claims there will not be a war of Worlds style invasion, but it will be done by stealth, with aliens gradually interbreeding out of existence before taking over planet. Branded false prophet by sceptics. Stop enabling your adult child who takes you for granted and also feels entitled to right of privileges given. It starts off well with good intentions by feeling sorry for the unemployed or an under employed adult child. At first they seem appreciative and do the right things in the beginning of moving in. It is not long when they revert to childish behaviour by leaving dishes unwashed. Meanwhile you sacrifice, do without so bend over backwards to provide their needs hoping to motivate and inspire them to improve in life. But the more you give, the more they take without any consideration for others at home. Some are arrogant, rude, deluded with grandeur thinking you have unlimited funds and resources to cater to all their whims, at their beck and call. So the question is how much help do you give a struggling adult child? The answer sparks a heated debate! 1. Your adult child does not take life on but you do! You are shouldering his or her debt, taking on a second job, or taking on additional responsibilities while your adult son or daughter is caught up in inertia, being seemingly endlessly non-productive. You and your spouse or other family members feel strain created by excessive neediness from this overly dependent adult child. 2. Adult child “borrows” money from you because s/he can’t maintain solid or consistent employment. He says that he intends to pay you back but that never happens. Yes, it is okay to help adult children out financially at times, as long as not being exploited in doing so. 3. You’re resigned to disrespect. You think an adult child has “problems” that lets him or her off the hook not showing heartfelt respect. You may notice s/he is respectful when wanting something from you. Your adult child turns on a dime or gets passive-aggressive if you refuse request. You feel worn down and accept this emotional chaos as normal. 1. Agree on the time limit children can remain at home if possible in writing. 2. While living with you, encourage the working children to contribute part of pay for room and board. If unemployed, let them help out around the house with gardening, cleaning, or other chores. 3. Don’t indiscriminately give money. Provide spending money contingent of children’s efforts for independence. 4. Develop a response that you can offer in the event that you are caught off guard. Agree that you won’t give an answer for certain time period whether it be the next morning or at least for 24 hours. For example, the next time you get an urgent call that says, “I need money,” respond by saying, “I’ll have to talk it over with your father (or, if you are single, “I’ll have to think it over”) and we’ll get back to you tomorrow.” This will allow you time to consider it and give you a chance to think and talk about it beforehand. It will also show that you are remaining steady in your course while presenting a united front.5. Remember that you always have the right to say, “I changed my mind” about a previous promise. 7. Remember you are not in popularity contest. Be prepared for your child to reject you. He or she will most likely come around later. How to change your habits How to stop catastrophising by the expert’s guide. A clinical psychologist suggests a three-pronged plan for tackling anxiety and approaching each day logically and positively. Let us start by considering why some people catastrophise, on hearing uncertain news, they imagine the worst possible outcome. It is not uncommon those who catastrophise seem to do it a lot. Catastrophisers tend to be fairly anxious people. Whether this characteristic is principally genetic the result of learning is unknown. High level of anxiety is extremely unpleasant so looking to discharge the unpleasant feelings as quickly as possible. So if the catastrophiser is told inconclusive an GP report and asked to have tests, look for ways to feel in control again. Only choose worst possible outcome because it allows for the greatest sense of relief when they are reassured. Considering all possibilities is not a bad strategy if you examine them logically. Unable to bear distress, catastrophisers rush to external sources to calm themselves down: checking whether anyone else has “come through” the same problem; matching symptoms online to obtain a diagnosis and treatment options; asking a professional to tell them that they will survive. Once reassured, they feel better in psychological jargon, so “rewarded” this seeking behaviour. The next time they feel uncertain or threatened, they ratchet up anxiety with catastrophic and then look outwards for reassurance faster than before. Catastrophising soon becomes a well-entrenched habit. The greatest problem with seeking others to alleviate anxiety is it offers temporary relief. There is always another source to check or another opinion to be had; as a result catastrophisers feel anxious again increasingly quickly. The only way to break this cycle is to tame anxiety. After this still seek advice. If a catastrophiser and you would rather not be, how do you go about making changes? •Accept yourself. Anxiety is energy: if you are anxious person, celebrate! Why waste energy on feeling uncomfortable. Prepari yourself for circumstances that will almost certainly never occur? Look for enjoyable ways to challenge yourself and use your energy more positively by taking regular aerobic exercise; learn new things, take up creative passion. •Take control. Establish a regular “worry time”. Start by setting aside half an hour every day. Write down all your concerns in specific terms. For example: “I felt nauseated this morning. Do I have stomach cancer?” Assign a score on a scale of 0 to 100% to estimate how distressed this possibility makes you feel. Next, list all possible explanations for your concern, then rank each one according to how likely it is to be correct. Make use of external sources if necessary, but stick with reputable websites and professionals. Finally, score your worry for the level of distress it is causing you now. Gradually you will be able to reduce the amount and frequency of worry time. •Learn to self-soothe. Whenever you are overwhelmed by anxiety and feel you must seek reassurance, give yourself permission to do so – but not straight away. Establish an interval before you are allowed to act. Even two minutes is enough at first, because you are still exerting self-control. Breathing slowly in through your nose and out through your mouth, or taking some gentle exercise, will help. Gradually, you will find you can wait longer. When you get to the point where you can wait more than 20 minutes, most people find they no longer need to be reassured by others. This three-pronged approach – using your “worry energy” to carry out new enjoyable challenges, approaching your tendency to catastrophise logically and systematically, and learning to wait through discomfort – takes time. But if you invest the necessary time, you will start looking forward to each day knowing you can deal with uncertainty in a more positive, balanced way. Congratulations on celebration of inter marriage between different groups of people often seen as source of blending families. In the past was not considered able to do so even within same nation a tribe saw other tribes in the draconian age as enemies unable to relate in long term marriage of family members. And many people missed potential marriage of choice thwarted by feuding families of past generations. 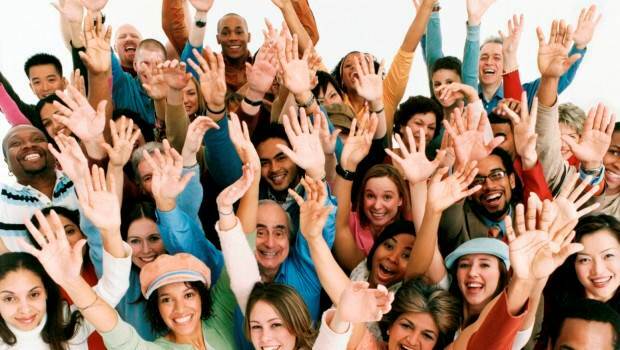 Today it is good to see the acceptance and tolerance after many years people recognise humans come from one race. Although some people do not really fully understand the challenges involved it is nice to see a successful couple overcome diversity. It is equally challenging to be married in a common social background because all marriages are hardwork, tolerance and forgiveness of each other. No matter the issues faced its good to see marriage on top of the agenda once again. So nation of Britain prepares to celebrate Prince Harry’s marriage to Meghan as Queen Charlotte of Portugal married in UK’s past history of a royal mixed marriage. According to PBS, Charlotte “directly descended from Margarita de Castro y Sousa, a black branch of the Portuguese Royal HoHouse. That distinction goes way back to the 18th century to Queen Charlotte of Mecklenburg-Strelitz. So a black woman in the royal family in the 1700s history nerds say turns out that, while many Englanders were in denial at the time, the wife of King George III, who was Queen from 1761 until her death in 1818, was of mixed race. According to PBSMmmm, Charlotte was “directly descended from Margarita de Castro y Sousa, a black branch of the Portuguese Royal House.” So not of unsavoury mixed-race origins, but actual black royalty. Her race mostly went under the radar over the course of history until decades later art historians began to take a closer look at distinctly black features in her portraits. Her regal nose, those full lips; as a mixed girl myself who can often spot a person with even a small amount of Black ancestry from a mile away, it’s pretty blatant from looking at her painting. 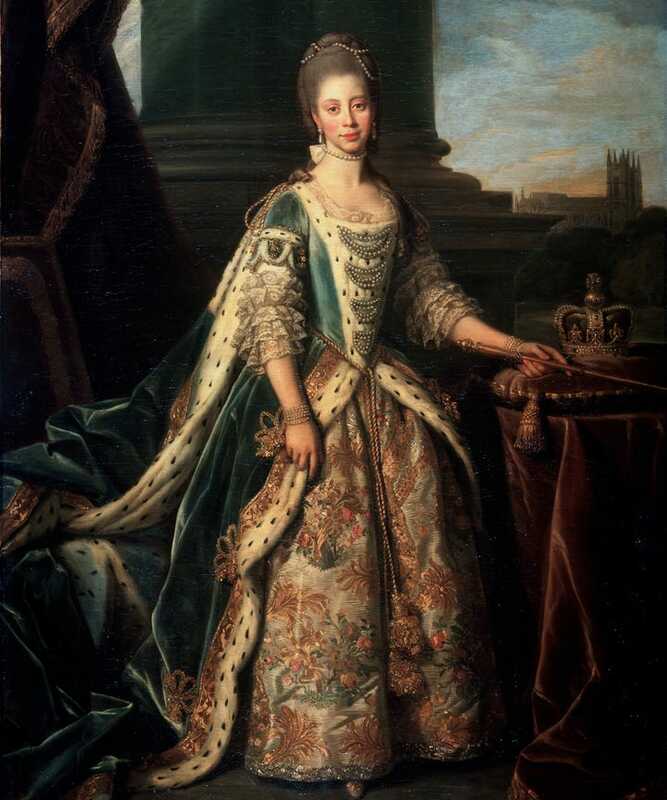 Regardless, I think it’s long overdue (like, seven generations long) for Queen Charlotte to get some credit for being an early trailblazer among the royals. And even though the official title of the first black member of royalty technically taken a long time ago. Meghan Markle’s recent engagement reminds people that love heart matters for pure happiness. Mankind faces upheaval of robot trends in hotels, airports, hospitals and homes. There is a strong argument in favour of advantages of using machines that now replace people in industries, factories or personal carers at home. The shortage of staff in underpopulated regions with the aged requiring care are some of the arguments used. Modern trend demand people adapt and get used to machines or miss out. In 1998, Kodak had 170,000 employees and sold 85% of photo paper worldwide. Within a few years their business model disappeared and they went bankrupt. Interestingly inventor of digital photography in 1975 Steven Sasson worked for Kodak but Kodak ignored the new technology and in the process ignored their future!! Some say what happened to Kodak will happen in a lot of industries in the next 10 years and most people don’t see it coming. Did you think in 1998 that 3 years later you would never take pictures on paper film again? Yet digital cameras were invented in 1975. The first ones had 10,000 pixels, but followed Moore’s law. As with all exponential technologies, it was a disappointment for a long time, before it became way superior and got mainstream in a few short years. It will now happen with Artificial Intelligence, health, autonomous and electric cars, education, 3D printing, agriculture and jobs in the 4th Industrial Revolution. So the Exponential Age, Software will also disrupt the most traditional industries in the next 5-10 years. Uber software tool does not own cars but the biggest taxi company in the world. Airbnb is the biggest hotel company in the world, although they don’t own any properties. Artificial Intelligence Computers said to be exponentially better understanding the world. This year, a computer beat the best Go player in the world 10 years earlier than expected. In the US, young lawyers not getting jobs. Due to IBM Watson you can get a legal advice so far for more on a basic stuff within seconds with the 90% accuracy compared with 70% accuracy when done by humans. If you study law it is good to immediately think about areas of specialisation. People say there will be 90% fewer lawyers in future so only specialists will remain. Watson already helps nurses diagnosing cancer, 4 times more accurate than human nurses. And Facebook now has a pattern recognition software that can recognize faces better than humans. By 2030, computers will become more intelligent than humans. Autonomous Cars: in 2018 the first self-driving cars will appear for the public. Around 2020, the complete industry will start to be disrupted. Some don’t want to own a car anymore since you will call a car with your phone, it will show up at your location and drive you to your destination. You will not need to park it, you only pay for driven distance and it can be productive while driving. Future kids may never get driver’s license and never own a car. So it will change cities, because will need 90-95% fewer cars for that. So can transform former parking space into parks. 1.2 million people die each year in car accidents worldwide. It says one accident in every 100,000 km, with autonomous driving that will drop to one accident in 10 million km. That will save a million lives each year..Most car companies may become bankrupt. Traditional car companies evolutionary approach builds better cars, while tech companies Tesla, Apple, Google will do the revolutionary approach and build a computer on wheels. A lot of engineers from Volkswagen and Audi are said to be completely terrified of Tesla. Insurance Companies will have massive trouble because without accidents, the insurance will become 100x cheaper. Their car insurance business model will disappear. Real estate will change since you can work while you commute, and people will move further away to live in more beautiful neighbourhood. Electric cars won’t become mainstream until 2020. Cities will be less noisy because all cars will run on electric. Electricity will be incredibly cheap because now Solar production has been on an exponential curve for 30 years so will see impact. In the last year, solar energy was installed worldwide than fossil. So price for solar will drop so much all coal companies may be out of business by 2025. Cheap electricity means cheap and abundant water. Desalination only needs 2kWh per cubic meter. We don’t have scarce water in most places, we only have scarce drinking water. Imagine what will be possible if all can have as much clean water as wanted without cost. Health: There will be companies that will build a medical devices called the “Tricorder” from Star Trek that works with phone, takes retina scan, blood sample and breathed into. It analyses 54 biomarkers that will identify nearly any disease. It will be cheap, in a few years everyone on this planet will have access to world class medicine, nearly for free. 3D printing price of cheapest 3D printer came down from $18,000 to $400 within 10 years. At the same time its 100 times faster. All major shoe companies started 3D printing shoes. Spare airplane parts already 3D printed in remote airports. The space station printer eliminates the need for large number of spare parts used in the past. By end of this year new smart phones will have the 3D scanning possibilities. You can then 3D scan your feet and print perfect shoe size at home. In China, already 3D printed completed 6-storey office building. By 2027, 10% of everything that’s being produced will be 3D printed. Business Opportunities now mean if you think of a niche you want to go in, ask yourself: “in the future, do you think we will still have that?” and if answer is yes how can it happen sooner. If it doesn’t work with phone, forget the idea. And ideas limited in design for just success in the 20th century is doomed in to failure in the 21st century. Workers with 70-80% of jobs will disappear in the next 20 years. There will be a lot of new jobs, but it is not clear if there will be enough new jobs that time. Already unemployment is rising in terms of the people getting appropriate relevant job. Agriculture will have $100 agricultural robot in future. Farmers in 3rd world countries can then become managers of their field instead of working all days on their fields. And agroponics will also need much less water. The first Petri dish produced veal is now available and will be cheaper than cow-produced veal in 2018. 30% of all agricultural surfaces are used for cows so imagine if we don’t need all that space anymore. There are several startups to bring insect protein to the market shortly. It contains more protein than meat. It will be labeled as ‘alternative protein source’ because most people still reject the idea of eating insects. There is an app call “moodies” which can already tell in which mood you are. By 2020 there will be apps that can tell by facial expressions if one is lying. Imagine debates displayed when people tell the truth or not. Bitcoin will be mainstream and might even become the default reserve currency. Right now, average life span increases by 3 months per year. Four years ago, the life span used to be 79 years, now it’s 80 years. The increase itself is increasing and by 2030, there will be more than one year increase per year. So we all might live for a long long time, probably way more than 100. By that time the elites will have a secondary Brain embedded close to both sides of their fronto-temporal scalp it stores information about their experiences books they read what they heard etc through a High Def Camera below the eyelids. Those who can afford it forgetfulness is a past phenomenon. Advanced stem cell technology will also allow “choosing” own organs or replace defective ones early. Life expectancy will be around 115 to 125 yrs in most of developed world and around 100 years in the rest of the world. Education: The cheapest smart phones are already at $10 in Africa and Asia. Until 2020, 70% of all humans will own a smart phone. That means, everyone has same access to world class education. Are you ready for the future. With so much benefits of progress agreed, question is what shall be done with the unemployed humans displaced? Some say the available free time means all will all be on holidays. It will indeed be wonderful to put feet up to let hair down to enjoy life. So robots and machines do all the work and serve humans. A few humans program these robots so intervene when required. Yet the reality of the mass unemployment without income and zero hour contracts is of concern that must be addressed. It is important to reflect on these matters because people have become homeless, unable to afford homes. People still pay bills, eat, pay cost of travel, student fees, rent, mortgages, taxes, etc. Whether one earns income or not bills get higher and higher. Artificial intelligence deliberate tactics based on the Georgia guidelines in America like 10 commandments is to reduce world population to 250million. Creating starvation, deprivation, lack of resources, burying tons of good food in the soil while people starve. This is all part of that strategy so few people own everything, living in luxury while the rest are dealt a bad hand. On paper all these sounds fantastic yet the reality is the MAJORITY of humans suffer as a result. Robots in industries mean loss of jobs, starving and poverty but is not dealt with in the news. Since privileged few already have enough on their plate they are not too keen or interested in plights of those displaced unemployed. It is absolutely true robots are essential today in some fields, save lives, drones deliver goods. However if one truly and honestly analyses overall cost of longterm investments in robots, the machines deprive workers of jobs. . In addition, they do not raise children, feed families, pay tuition fees or rents and mortgages. On one hand robots are necessary but on the other hand too it is important to ensure humans are not all replaced by machines. The humans now globally have no jobs, resources or land in the hand of a few. Most investments and the profits go to shareholders who benefit not the staff laid off on the dole. Trillions of dollars are invested globally to create robots with zillions of electric wattage used to run them. But it affects electric power and oil supply needed to generate electricity. Alternative to fossil fuel like wind turbines still need electric to power them. Now when a problem is solved it creates lots more problems not foreseen by inventors. When Tsunamis, tornadoes, floods, wildfire, thunders or toxic waste burnt trickle into soil to shut down whole neigbourhoods, nothing is done to rectify problems. As long as the rich share holders are happily making more money they do not care about the damage done to the earth. The rush to overproduced cars, gadgets with inbuilt obsolence means products are changed for cosmetic or aesthetic reasons than functions. This creates disposable waste of tons of plastics that natural speed of human working hours would curb. The rat race constantly produces more items than realistically purchased so is shredded or buried in landfill that could be used for housing. A greedy excessive love of materialist products consumer habit damages planets with pollution. It is industry driven to produce faster, get to places faster and faster because it is easier to do so than work in tune with nature. The passion for wanting things yesterday to meet demands results in a need for the faster production methods beyond human abilities. That is why the robots are man’s friends to help them to accomplish their wants faster. It is good to be able to enjoy life and live a little yet longterm damage climate change is irreversible. The world already pays the price of sufferings from global turf wars over natural resources fuelling robots. It peaks beyond measure with plans for all future living mechanised by robots, people are displaced and frustrated. The young people graduating all over world feel the robotic trend of displacement. The good news is when things peak God will intervene by Rapture to restore earth to organic natural wholesome beauty again like paradise. God owns chariots, wheels in wheels technologies and a great designer of unique human intelligence. Technology displaces the workers but life in general improved. Machines replaced, outmoded, causes toxic waste in landfill sites buried at or burnt to destroy archaic old technology. Humans still need to program robots but must work alongside humans. Lots of businesses, companies are shut down or gone bankrupt due to changes. And online businesses affect direct human personal touch interaction on a daily basis. These issues must be addressed as much as debates in favour of using the robots and machines. The world is now reaching tipping point of inability to sustain these design using solar power or nuclear power. The pursuit of more power to maintain robots damages use of natural resources diverted by hydro power displacing communities. Many farms and food production destroyed by the seizure of generational family lands. The hybrid genetic modified foods often lack rich natural nutrients for organic food remedies created by God. Limited land use of the area means depending on imported foods than local produce. Robots are useful and helpful but must not be allowed to displace and destroy humans in the process. Both must live alongside each other with dignity of human life not dehumanising people.